Last Sunday, September 2, but in 1666, the Great Fire of London, which destroyed 4/5 of the medieval city that had just the year before been visited by the Plague, started on a Sunday. Before the fire of London burned out, five days later, it destroyed 13,200 houses, the Royal Exchange, the Custom House and St Paul’s Cathedral. It wasn’t as if London hadn’t been warned, and no psychic powers were necessary. Fires in London were common. Construction of homes and shops was principally wood, thatch and pitch. The heat of a dry summer had depleted London water reserves. All it took was inattentiveness to a baker’s fire believed extinguished the night before. A Parliamentary committee reported in January 1667 that “nothing hath yet been found to argue it to have been other than the hand of God upon us, a great wind, and the season so very dry.” But was it God’s will that people lived in unsanitary, tightly closed conditions? Was it God’s will that 87 churches and six chapels burned? Did only sinners live in London north of the Thames, and none in Southark, which was spared fire only because London Bridge collapsed? Was it a miracle that, although one sixth of London’s population of 600,000 became homeless, only 16 people perished? And if the fire had been arson, would we gather in groups and sing hymns of praise to the arsonist? Of course not. So why does God get praise for doing something that would land a mere human in jail? Last Wednesday, September 5, but in 1793, an 11-month Reign of Terror followed the French Revolution. Sometimes called the Red Terror, to distinguish it from the equally brutal but little-mentioned White Terror which followed it, the Reign of Terror lasted until the execution of Maximilian Robespierre on 28 July 1794. In less than a year, about 18,000 people were killed, an average of 55 a day. 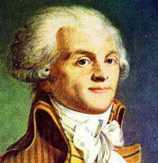 The massacres and beheadings were excessive, and supervised by the Committee of Public Safety, in which Georges Danton and Robespierre were influential members. Religious writers, when they speak of the French Revolution at all, are fond of pointing to the Terror as proof that people deprived of their religion turn into beasts with no moral compass. Is that true? First, the Terror was not part of the French Revolution, but took place four years after it. Second, during the St. Bartholomew’s Day massacre of 1572, more than twice as many people (50,000) were killed over religion in 40 days, as French revolutionaries were killed over politics in the Reign of Terror! Third, the Committee of Public Safety, supported by the people of Paris, was created to preserve the reformed government and to put down threats from inside the country. The clergy, in league with the nobles, were plotting the reversal of the Revolution and clerical-royalist conspiracies were real: the crowned heads of Europe wanted to smother democratic ideas in the cradle. Half of the French Catholic clergy fought for the failure of the republican government, enlisting the aid of Austrian, English, Prussian and Spanish powers – which in any other regime would be considered treason! Finally, the principal author of the Terror, Robespierre, was a Deist believer. So not only were the greatest excesses of the Reign of Terror perpetrated under a man of God, but the reactionary clerical-royalists dipped their hands in blood, as well. France is a secular republic today because, unlike the US and some other nations, France knows what religious strife is really like. Yesterday, September 7, but in 1533, the first Queen Elizabeth, monarch of the “Golden Age” of English history, was born. Although a disappointment to her father, King Henry VIII, who desperately wanted a son, Elizabeth succeeded to the English throne in 1558 and was well prepared to rule for the next 44 years. Writers on the period, both rationalist and religious, admit that skepticism had spread widely by the dawn of the Elizabethan Age. Indeed, contemporary clerical writers spoke sternly about the rise of Atheism. 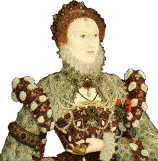 Elizabeth reversed the sober and cautious zeitgeist of earlier years and indulged her appetites for sport (especially riding), music and dancing, pageants and palace parties, and, although not much interested in literature herself, created an atmosphere in which playwrights such as Shakespeare and Marlowe could flourish. Historians cannot claim that she was orthodox in any creed – the Pope excommunicated her in 1570, but she may have seen that as a badge of honor. As one historian put it, “it can hardly be doubted that she was sceptical or indifferent” to religion. Another writes that, compared to others, “no woman ever lived who was so totally destitute of the sentiment of religion.” Elizabeth, like the men around her, was boisterous, vigorous, vulgar, coarse and quite tolerant of the general licentiousness of the age. By the time she died in 1603, Elizabeth I had turned a debtor nation, riven by religion, into one of the most powerful and prosperous countries in the world. Today, September 8, but in 1892, the original (godless) version of the American “Pledge of Allegiance” was published under the authorship of Francis Bellamy, a Baptist minister and Christian Socialist. I had a few words to say about this loyalty oath in my Quick Comment on August 25. 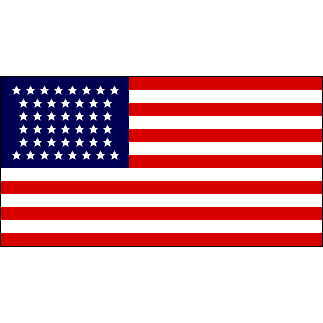 There is really only one question in my mind: why is a loyalty oath necessary for an average citizen? If you’re loyal, you may say it because you mean it; but you may refuse to say it because coerced loyalty is no loyalty at all. And if you really are a subversive, would you hesitate a second before lying? We can look back, but the Golden Age of Freethought is now. You can find full versions of these pages in Freethought history at the links in my blog.